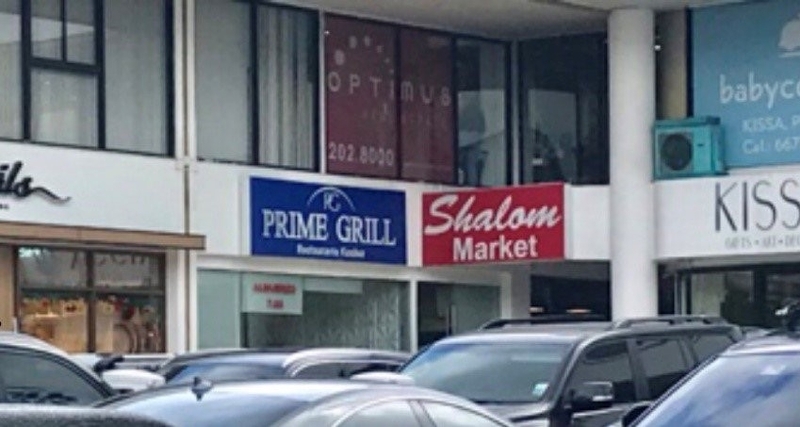 PANAMA CITY, Panama—Several alert, uniformed sentries stood behind defensive barriers in front of the Ahavat Sion synagogue in a tony neighborhood of extreme high-rise hotels and residential buildings, ubiquitous in this prosperous Central American city. The sentries required identification and a stated purpose for the visit, studied my face, and disappeared inside after warning that no exterior photos were allowed for security reasons. Panama's 15,000 Jews live mainly in Colon by the Caribbean coast and in Panama City, economically buoyed by industry associated with the Panama Canal. Flight 901 is a painful, lingering episode in the community's history. Notably, the bombing of Flight 901, shortly after takeoff from Colon to Panama City, happened one day after the bombing of the Argentine Israelite Mutual Association (AIMA) building in Buenos Aires, Argentina. That one left 85 Jews dead and hundreds injured and captured almost all shares of global media attention. 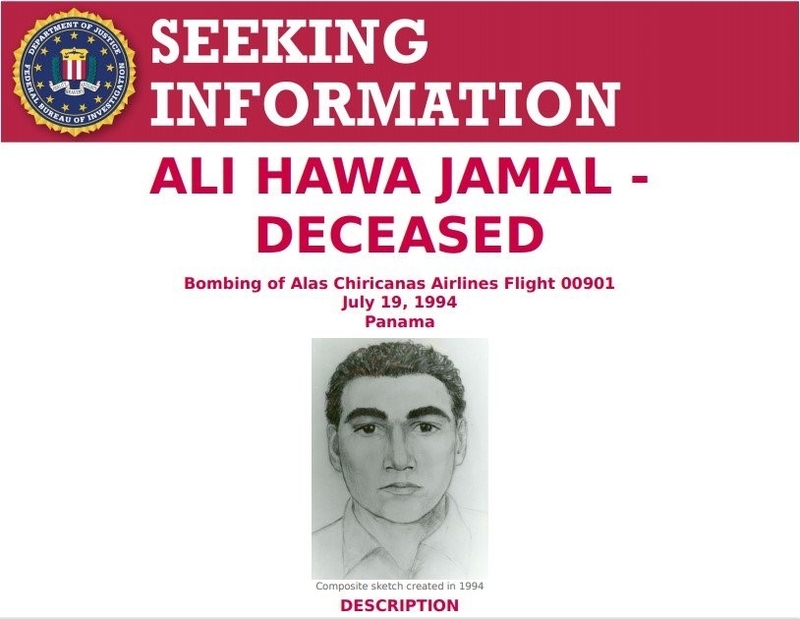 The main lead for Flight 901 was the mangled torso of a man the FBI later "possibly identified" as Ali Hawa Jamal and said was suspected of carrying a bomb aboard the plane. The FBI's "Seeking Information" bulletin went unfilled for 24 years. While no terrorist group claimed either the Flight 901 or the Argentine bombings, deep and thorough investigations of the Argentina bombings, tormented by political mayhem and the murder of the chief prosecutor, eventually produced book-length indictments in 2006 of a slew of senior Iranian government officials and of Hezbollah figures. In 2017, the former president of Argentina was indicted for a cover-up conspiracy with Iran. Tehran has always denied it all. Netanyahu blew the dust from that status quo, welcomed or not, with a private November 2017 letter to President Varela outlining Israeli intelligence information, presumably about Ali Hawa Jamal. The letter was sent ahead of a planned state visit by Varela to Israel scheduled for the following May. Panama President Juan Carlos Varela with Israeli Prime Minister Benjamin Netanyahu in Israel, May 2018. 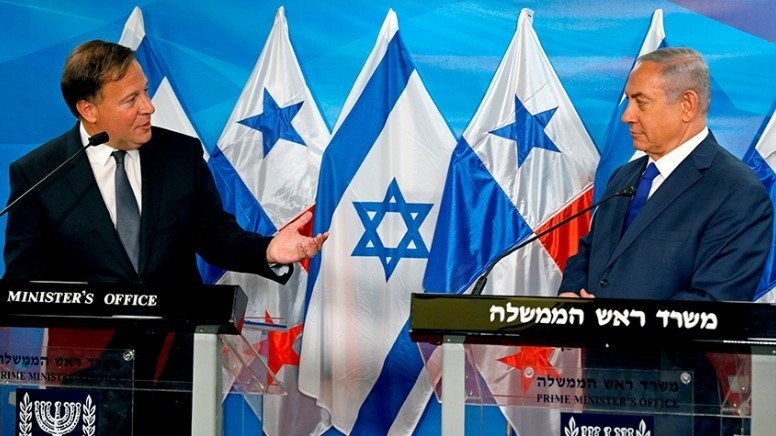 "Thank you for that information, which I shared with the families," the Panamanian president told Netanyahu. "And I will keep following that case, to make sure that justice is done." Later in Panama, Varela told local reporters he would ask local and international authorities to reopen the investigation "given intelligence reports that clearly show it was a terrorist attack." Then, in the seven ensuing months, nothing. Prior to my trip, through various interlocutors, I tried to set up interviews with Jewish community leaders to see how the investigation was meeting with community expectations and sentiment about it. I'd had no response, which is how I ended up with the security guards out front, asking for a sit-down interview with community leaders, a rabbi, perhaps the survivors of victims killed in the attack. Eventually, I was asked to submit a list of written questions, which I know from long experience is usually the death knell for a request. I submitted some questions anyway, looking for any sign of an investigation. They never followed through and allowed the remaining time they knew I had in-country to elapse while deflecting follow-ups. 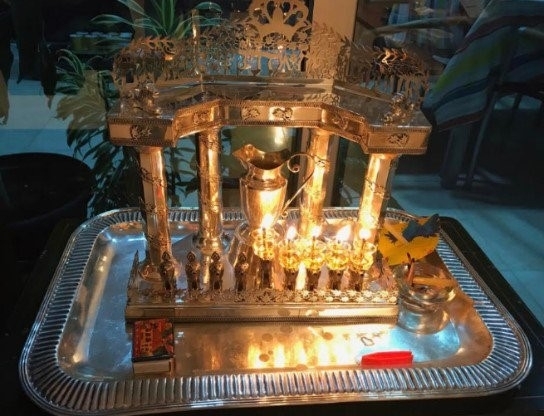 One Orthodox Jewish family kindly took me in to their high-rise apartment and treated me to a lovely Chanukah night meal and candle lighting (it was night four). But the family was not interested in being quoted about the investigation without community endorsement. The family did lobby on my behalf, but to no avail. Fourth night of Chanukah with Panamanian Jewish family. It soon became abundantly clear: No one in the community wanted to talk about the investigation. From others, however, I was able to glean some informed speculation about where the investigation was and what it meant to the community. But by now, my first spark of doubt had caught: maybe there was no investigation. I went to the country's biggest mainstream newspaper, La Prensa, and met with Juan Carlos Vargas, political editor in Panama City. One question not quite answered by the Panamanian president's promise to reopen the investigation: to what end? The bomber evidently died with his victims, so he certainly couldn't be indicted, tried, or convicted. Juan Carlos Vargas of La Prensa newspaper in Panama City. Carlos said the idea was that investigative conclusions might lead to judicial proceedings against others. This sounded like Argentina. He confirmed that the government had provided no update on its investigation in the seven months since its reopening was announced. He said his newspaper had reported nothing else. I asked how that could possibly be and if he knew whether the investigation was even happening. He said the newspaper didn't know. "The Panamanian government opened the case but has released no new information," Carlos told me. Had he heard anything through sources that he couldn't publish but would indicate progress? No, he said. I asked why he thought people from the Jewish community didn't seem willing to meet with me to discuss the situation. One reason, he said, might be that Jewish community members "didn't want to relive that. Most have little interest in knowing more. It brings a lot of painful memories." "They don't want to be victimized all over again." I wondered aloud that, if that was the sentiment, perhaps the Jewish community could have pressured the government into killing the investigation. The journalist told me the community was wealthy and highly influential but that, ultimately, the newspaper didn't know what was happening. I worked at length with the Panamanian embassy in Washington D.C. for several months ahead of my trip to Panama, mostly for unrelated national security stories. I'd been asking my point of contact in Washington, who was working on my requests with senior security and government officials in Panama, for sit-down interviews with government officials. After a couple of months, though, I got the fatal request to submit a list of questions. I did anyway, including the Flight 901 issue. I was told if the president didn't want to actually push an Iran-Hezbollah investigation, all he had to do was wait it out and he'd be off the hook. I received a catch-all response by email declining to discuss national security-related matters, which could be understandable, given that public disclosure could damage the proceedings. But the government response also did nothing to reassure my growing sense that maybe an investigation into Flight 901 wasn't really happening. "With regards to ongoing investigations," my embassy contact wrote in an email, "our authorities have no comment. We understand this may not be the detailed response you expected, however it is all the information we can provide at this point." While in Panama, I interviewed three members of the Panamanian Assembly, which is akin to the U.S. Congress. One was Juan Carlos Arrango. His Panamanian Popular Party was a member of President Varelo's ruling coalition. Like the La Prensa political editor, Arrango is in a unique position to catch information about the investigation. But he too professed to knowing absolutely nothing about the investigation beyond initial reports that there would be one. 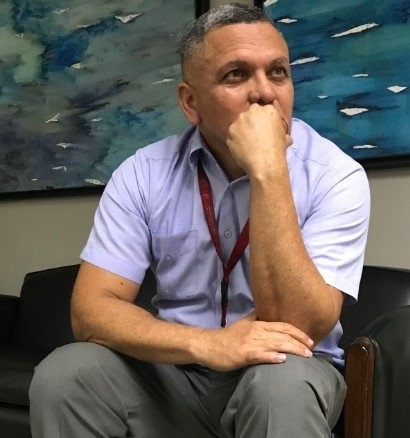 Cesar Argueta, of the opposition party Democratic Revolutionary Party, similarly had heard nothing in government circles about the investigation. He could only offer that: "If the Israeli government is asking to reopen the case, in particular, I would have to say that is because they have information that Panama doesn't have. Because they have information they have been able to collect, that allows them to find the culprits of that act." While at the assembly, a parliamentary insider I spoke to reminded me that President Varela was a lame-duck president. He is constitutionally unable to run again in a new national election scheduled for May of this year. I was told if the president didn't want to actually push an Iran-Hezbollah investigation, all he had to do was wait it out and he'd be off the hook. The Israeli government is never known to miss an opportunity to criticize Hezbollah and discuss its nefarious networks in Latin America and anywhere else in the world. Except, evidently, in the case of Panama. After returning from Panama doubting Flight 901 will be investigated, I reached out to the Israeli government through its public affairs section at the embassy in Washington. For sure, I thought, the Israelis would be able to confirm the promised investigation actually went forward. After submitting a detailed email about what I wanted, I was assigned to spokesman Elad Strohmayer. In return emails before and during the holidays, he seemed amenable to setting up interviews to impart information about Flight 901 and Hezbollah in Latin America contemporarily and more generally. But nothing ever came of it after repeated voice messages and email from me through to now. I gave up, left to presume there was something so clearly radioactive about this investigation and terror attack that no one would talk out loud about it—not even the normally loquacious Israelis who re-started it all. Either I simply had terrible reportorial luck over a period of three months, not finding the right people at the right time with questions about sensitive investigations. Or there simply is no investigation into Flight 901, and no one wants to admit it. Experience, gut, and result have me leaning toward the latter. My running theory is that no one in Panama wants to repeat Argentina's tumult over its investigations. Taking on Iranian ruling mullahs with indictments has proven painfully consequential in Argentina. Perhaps Netanyahu inadvertently put the Panamanians on the spot where they never really wanted to be. The presence of Iran and Hezbollah in this region of the world did not end 25 years ago, particularly in Panama. I stand ready for my theory to be proven wrong and to write about any new contrarian information. The presence of Iran and Hezbollah in this region of the world did not end 25 years ago, particularly in Panama. That matters in a national security, context because Panama is a major strategic American ally, with a stake in the canal's uninterrupted operation. From a current New York court case about which I have written extensively, we learn that Hezbollah sent a U.S.-based operative to Panama for months of intelligence collection as recently as 2012. In court papers, it emerged that Samer El Debek of Dearborn, Michigan was a Hezbollah 910 operative, the notorious clandestine terrorists who move around the world conducting assassinations and bombings like in Thailand. The court records say Hezbollah sent El Debek to Panama for at least a month in 2011 and again in 2012, where he collected target information on the Panama Canal, American embassy, Israeli consulate, and Jewish community. El Debek transferred all of this intelligence to Hezbollah afterward. The group would still have all of it. Beyond any immediate threat to Panama targets, while in Israel last year President Varela voiced the most persuasive reason for a strong, decisive and conclusive investigation into Flight 901. "I believe in public life we should always be on the right side, to make sure that nothing like this happens again, in my country or anywhere else in the world. Fighting terrorism shouldn't have boundaries. Fighting terrorism should unite all human beings, to stop evil that all terrorism represents and to fight for the right to all human beings to live in this world in peace." Here's to hoping he follows through before he leaves office.